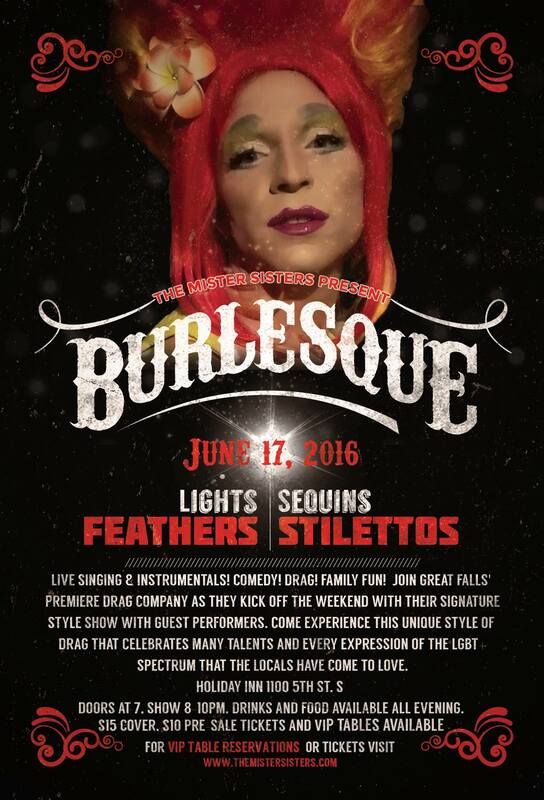 Burlesque was our featured show for Pride 2016. After sustaining a head injury after carelessly tripping on discarded New Amsterdam bottles, Kola awoke covered in sequins, feathers, a little broken glass and also with the delusion that she and her fellow drag sisters had become part of a word famous Burlesque group about to perform one of their biggest shows ever in which she is the main attraction. Ever the loving sisters, the other Misters have gathered their friends to help enact this mistaken identity out under the advice of Kola’s doctor. How long can the other Mister Sisters keep up this ruse in hope that their injured sister’s memory will return before her diva demands hit an all time high and they take measures into their own hands?